Thank you for a very instructive and enthusiastic presentation. Many of our members told me that they were very impressed with the information you presented and enjoyed your style of presenting. Intercultural blind spots lead to decisions and actions that result in unintended consequences: a major customer goes to the competition; a top sales person leaves to join a competitor; the company is sued for infraction of local labor laws. Marketing strategies that worked at home are labeled as unfair and result in a lawsuit. Suddenly the company falls from number one in the world to second place. The more excuses managers make for their troubles, the more they fall behind. Human interactions are the common denominator of any organization. Cross-cultural communication and cross-cultural management skills are the oil that lubricates the wheels of offshore business. A well- oiled machine is more productive; it won’t break down and has better bottom-line performance since tools and parts won’t wear out due to friction. Our method delivers targeted knowledge that is immediately relevant and directly tied to performance goals—increasing your employees' productivity and giving your company a competitive edge. 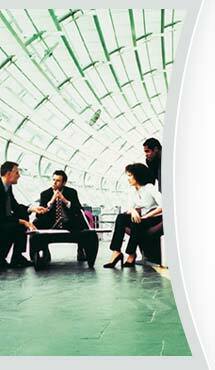 We work with top executives to arrive at an appropriate intercultural strategy for the entire company or a division. This eliminates duplication of information as well as saving the company time and money. As it is now, different departments or divisions often work with different consultants, resulting in inconsistent delivery and sometimes contradictory information. Although our company offers a complete range of consulting services for companies doing business overseas, we can’t be all things to all people. If necessary, we will help you in assessing the qualifications of other vendors to specifically meet your needs. We are knowledgeable about the industry, and with your best interests in mind will help you to make the best choices for your company’s cross-cultural training. We can also help you to develop in-house programs to address the needs of midlevel managers and employees who are relocating overseas.